The Chettiars, ousted from their lands due to a tsunami, chose a dry place to call home. A merchant community, they were  eager to build life in a new place and Chettinad came to be. Chettinad is made up of 73 villages and 2 towns--  a colourful ensemble of palatial houses and places of worship-- structures that serve the purpose of every celebration, ritual and function from life till death. And although the original builders and inhabitants of Chettinad’s mansions are long gone, the town seeks and finds a new life in curious travellers filling its by-lanes today. Chettinad, today is a glimpse into that past—of grand mansions, tree-lined boulevards and wide roads-- reminders of its glory days-- a  period where it had established it's influence in business over all of South East Asia. The  cultural exchanges during this time brought about an architectural style that married Tamil traditions with global design influences. Most of Chettinad’s homes were built in the 1930s and 1940s --many are over a century old, dotted with chandeliers, covered in ageing dust and offering a spell-binding mélange of Art Deco, Art  Nouveau  and Indian influences. Some mansions, still in use, have walls of a subtle sheen and high shone floors. The floors, paved with locally made Atangdi tiles or in a black and white checkerboard pattern and lime-plastered walls interspersed with bright hand made tiles are a welcome break from the warm afternoon sun to the visitor. 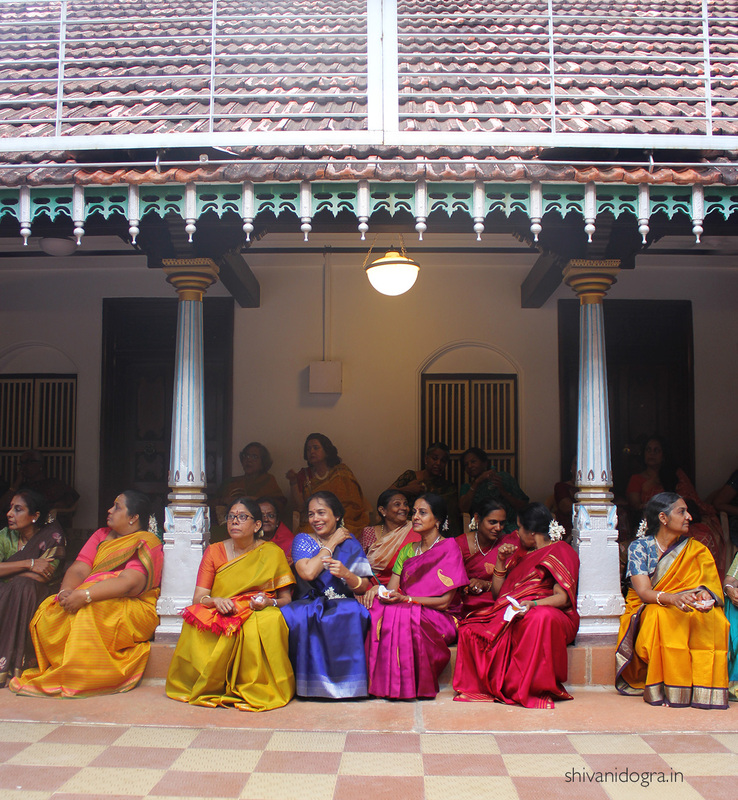 My memories of a brief stay in Chettinad are in a sequence of multitudinous hues. A short journey  transported me from the familiar smells and sounds of Delhi  to a landscape replete with nuanced and highly contrasting colour that mingled artfully with the aroma of coconut, sandalwood, jasmine and wet earth. 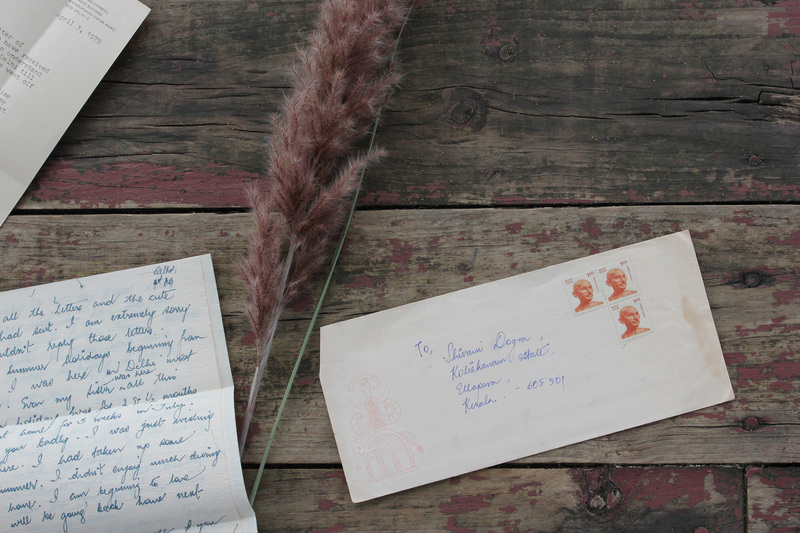 In the time spent there, I moved from rooms paired in faded onion pink and bright turquoise to passages in chalky green and cobalt hues and wide timber pillared courtyards paved with ochre, terracotta, emerald green and royal blue tiles. For an interior designer much of whose style is  often a combination of eastern and western influences,  Chettinad was a lesson in the exquisite use of natural colour and refined elegance. Today, while  some homes in Chettinad are now  beautifully, restored heritage hotels, others live a  fragile existence—sometimes with patches of lime plaster sticking together the transformation of yesterday. Chettinad is a culmination of design and thought interweaving to create a blend of architecture not seen elsewhere in the country. The town’s grid-like streets, vast pavements, and  immense,  yet earthy mansions are a reminder of idealism, art and the simple beauty of colour. Sepia-toned houses, some going to ruin and some mindfully restored,  are an emphatic testimony to the artistry of the many skilled, nameless workmen of former times.